Exclusive to OBSCO comes quality hair repair — SudzzFx. INNOVATIVE SCIENCE AND TECHNOLOGY MAKE THE DIFFERENCE BETWEEN PRODUCTS THAT OFFER YOU IMMEDIATE, HEALTHY SHINY HAIR AND THOSE THAT DO NOT. Sudzz Fx — Innovative Science! Learn about the science behind Sudzz Fx! — Hair suffers from a large assortment of daily attacks: UV, smog, harsh mechanical treatment from blow dryers, curling irons and the like. When you add to this barrage of insults, chemical treatments, it’s no small miracle that the hair survives at all. But survive it does – but often at a price. With SudzzFx, we’re here to help combat the stress on your hair. Dullness of the hair, brittleness, split ends, lifeless color, all of these problems can be traced back to one or more of the three damage forms outlined above. It’s really quite simple. At SUDZZ FX™, we decided that there were many good products in the market place but none that addressed ALL of the problems with EVERY product. So we did. 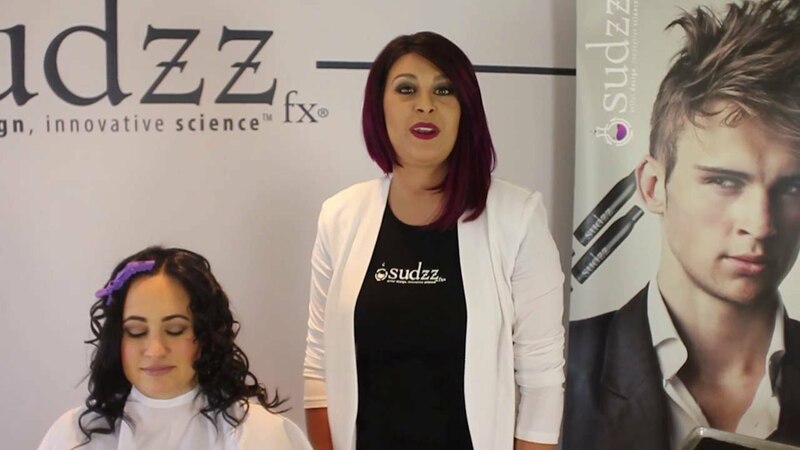 SUDZZ FX solves the ongoing dilemma of hair repair, stress prevention, while, at the same time, maintaining high degrees of visible beauty and manageability. The secret lies in the unique three-level compound call Fxulites®. This material complex is only found in SUDZZ FX products and nowhere else. Here’s how it works. FXulites® Alpha utilizes a new form of enhanced honey. It’s long been a recognized fact that honey is a natural moisturizer. But honey has some drawbacks when used in cosmetics. It’s sticky and is basically a surface phenomenon. SUDZZ FX uses a revolutionary new enhanced form of the purest natural honey available. Thanks to careful chemical adjustments to the basic honey structure, the stickiness is gone and is now replaced by an incredible ability to actually PENETRATE the hair fiber. Finally, this wonderful natural material can do what nature intended: carry its moisturizing and humectants abilities right into the protein structure of the hair fiber itself. This is not marketing hype. Solid technical data exist to verify the intensive lab testing that identified this remarkable breakthrough. What does this do for the hair? Placing moisturizing materials directly in contact with the protein fibers inside the hair shaft allows those fibers to glide over each other in response to styling demands with NO frictional damage whatsoever. the application of heat can even IMPROVE the hair’s condition. FXulites® Omega. Now that we have the moisture balance under control (FXulites® Alpha) and the free radical threat eliminated (FXulites® Gamma), we address the ongoing problems of assault on the hair, which come from every day living in the modern world. To accomplish this, we provide in our FXulites® Omega protection, a time-release system that remains electrostatically bound to the cuticle of the hair. Since we have the internal structure of the hair well under control with the FXulites® Alpha and FXulites® Gamma systems, it now remains to prevent problems originating from outside of the hair. In the FXulites® Omega process, we place microscopic vesicles (containers) in direct contact with the outer surface of the hair, so that they can release their protectants in direct response to any form of attack from external free radicals and the like. These materials, although completely undetectable by eye or feel, remain in place until the next shampoo, conditioning, or styling treatment with a SUDZZ FX product. This is the first true hair insurance.